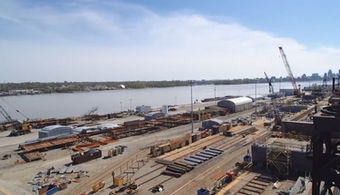 The United States’ oldest inland shipyard will close this spring, according to its parent company. 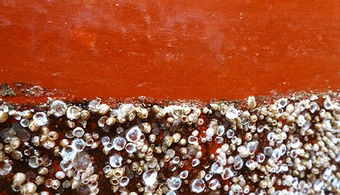 Researchers at a university in India have proffered a novel idea for protecting the hulls of ships from fouling and corrosion: seaweed. 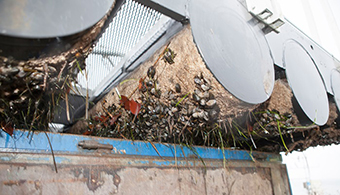 Coatings manufacturer AkzoNobel (Amsterdam) announced this week that it, along with Royal Philips, has developed a novel antifouling solution that uses ultraviolet LED light. 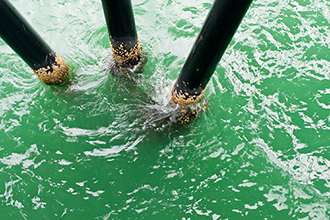 A marine coatings firm is the recipient of one of two matching grants from a South Carolina public nonprofit that supports innovation in businesses in that state. 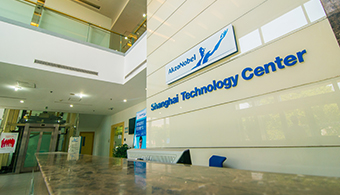 I-Tech AB was recently honored by a major market research firm for its development of an organic biorepellent that can supplement or replace copper antifoulants. 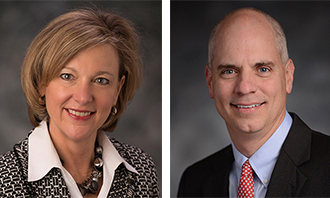 ASRC Acquires US Coatings Inc. 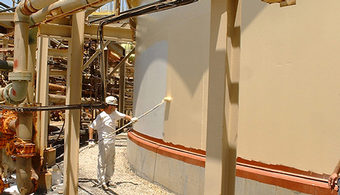 In a move to expand its construction, maintenance and repair operating group, ASRC Industrial Services has acquired US Coatings Inc., a marine specialty coatings company based in Alabama. 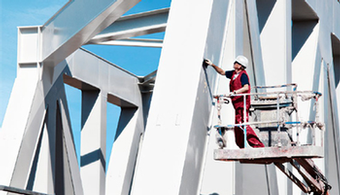 Global coatings firm AkzoNobel released its second quarter earnings on Tuesday (July 25), reporting an increase in revenue driven by Performance Coatings and Specialty Chemicals. 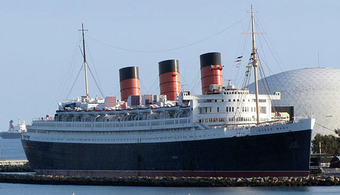 A 1930s ocean liner docked in California will be getting a paint job for the first time in 15 years, months after a report called the corrosion-riddled vessel's future into question. 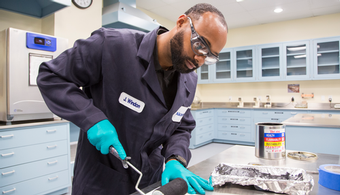 Global coatings manufacturer AkzoNobel recently announced that it has completed an expansion of the research and development facility at its Houston location. 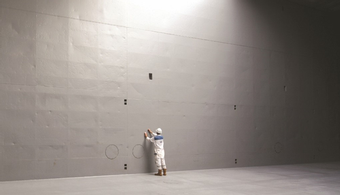 Dutch coatings manufacturer AkzoNobel recently announced that it has completed a $3.5 million expansion of its Houston research and development facility. 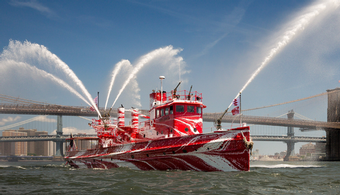 Global paints and coatings company AkzoNobel recently expanded its ship maintenance line with the launch of a new multi-purpose one pack primer. 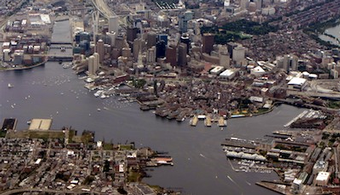 A Massachusetts-based coatings company recently acquired funding for expansion into marine coatings. 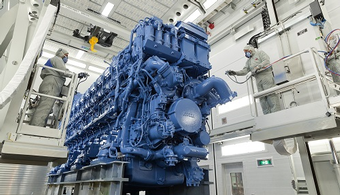 An international engine manufacturer recently announced its latest sizable investment, a new marine paint shop. 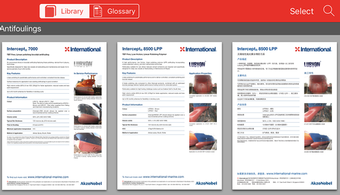 AkzoNobel last week launched its International mobile app, which the Dutch coatings manufacturer says will provide convenient data access to marine coatings customers. 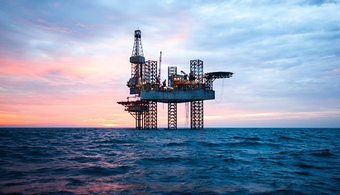 Global coatings company Hempel Group has launched two advanced coatings, which the firm says were specifically developed to protect the splash zone areas of offshore structures. 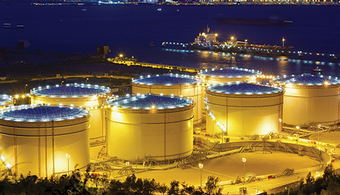 Global coatings manufacturer Hempel recently opened a new factory in Kuwait, allowing the company to up its production of marine, protective and decorative paints for the Middle East. 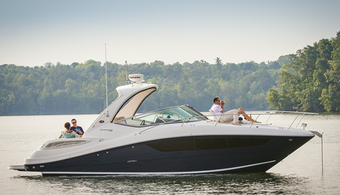 A new line of marine coatings from manufacturer Ashland is designed to coat boats that are designed for aesthetics as well as performance. Sherwin-Williams' Paint Stores Group helped propel the Cleveland-based coatings company to hit record net sales in 2016, the company announced Thursday (Jan. 26). 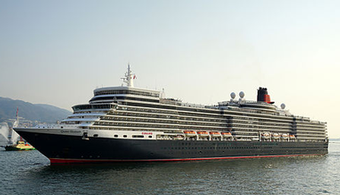 The British Coatings Federation has joined with British Marine and the Royal Yacht Association to promote safety with antifouling coatings to do-it-yourselfers in the U.K.
A pair of new marine coatings from Hempel are designed to protect offshore assets from corrosion, above and below the waterline. 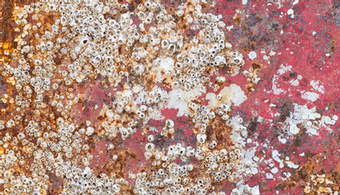 An American military agency is sponsoring research on the development of a hydrogel material that could help antifouling coatings stick to metal hulls better and longer. 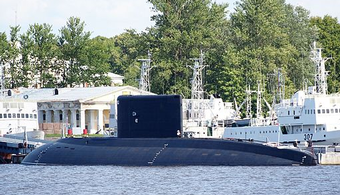 A Russian shipbuilding research and development institute is working on a polymer film coating intended to make the nation’s submarines invisible to sonar. 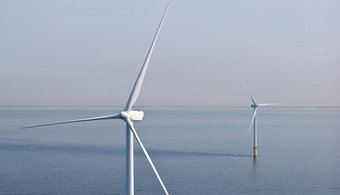 A new protective coating primarily for offshore turbines is designed to protect against UV damage in addition to corrosion and abrasion. 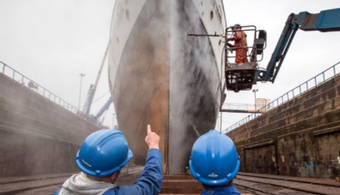 A historic steamship in Scotland is being restored to what it looked like 80 years ago, with the help of a marine protective coatings manufacturer. 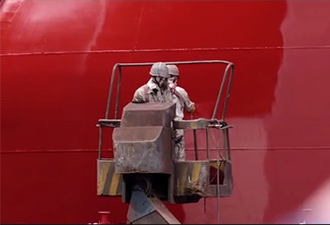 Japan’s Nippon Paint Marine Coatings and Germany’s Wilckens Farben GmbH have announced a joint venture that will supply Nippon’s marine paints throughout Europe and Turkey. 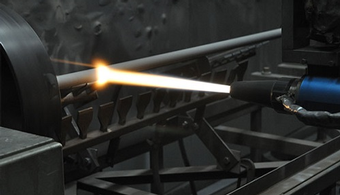 One doctoral candidate at a Danish technical university has developed a coating test method that takes a novel approach to analyzing coatings performance. 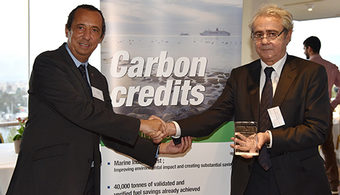 A Greek maritime freight company has been named the first ship owner recipient of carbon credits through an eco-friendly program developed by AkzoNobel. 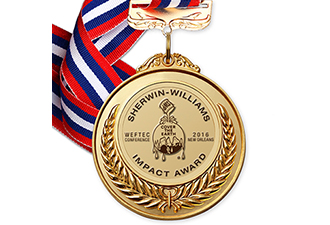 With an eye on exceptional projects in the water and wastewater industry, Sherwin-Williams Protective & Marine Coatings has launched a new award program. 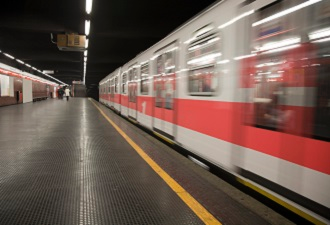 A new coating from Finnish firm Finnester Coatings claims it is able to protect train and subway cars from fire and smoke damage, conforming to new EU standards for fire safety. 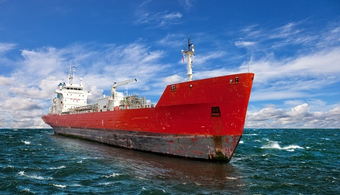 AkzoNobel’s Marine Coatings business has announced the release of a new anticorrosive primer developed to support simplified maintenance, waste avoidance and enhanced corrosion protection. 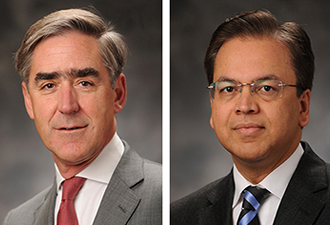 PPG reported net sales of $3.7 billion in its first quarter, a 4 percent increase from the prior year, led by broadening European volume growth and acquisitions. 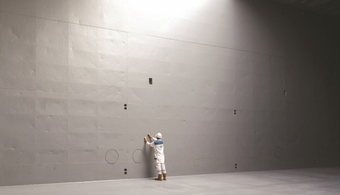 AkzoNobel reported growth in volumes and profitability in all three business areas in its first quarter 2016 results, despite a challenging market environment. 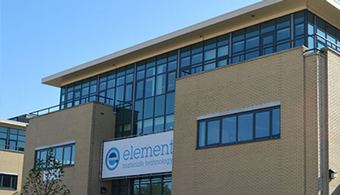 Global paints and coatings manufacturer AkzoNobel has announced the addition of a new data source to its recently launched data analysis tool, Intertrac Vision. 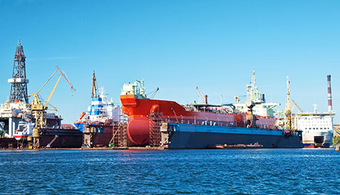 The protective properties offered by a range of industrial and marine coatings are the focus of the next free webinar from JPCL and SSPC. 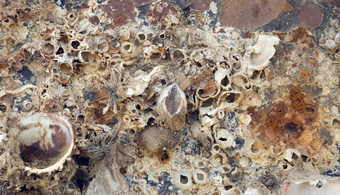 A university in Oman has developed the region’s first antifouling marine nanocoating, according to an announcement following a month-long field test of the coating at a local marina. 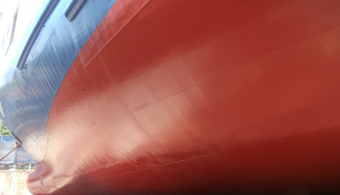 Hempel has introduced a new high-solids marine antifouling coating that the company says leads to cleaner hulls for a longer period. 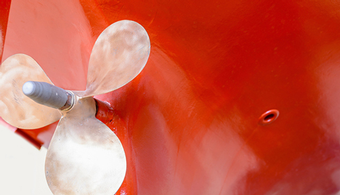 What do you need to know when specifying coatings for marine environments? What training opportunities are available to keep you up to date on the latest certifications and standards? Although officially retired from naval service since 1971, a Cold War-era submarine has remained on duty as an educational tourist attraction moored along the north shore of Pittsburgh. With SSPC 2016 featuring GreenCOAT just weeks away, SSPC: The Society for Protective Coatings spotlights the lineup of shipping and marine conference sessions available on site. 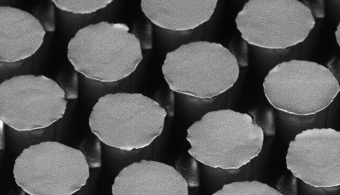 Harvard researchers say they have developed a coating that makes steel stronger, safer and more durable. 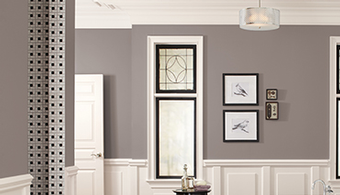 Propelled by its Paint Stores and Consumer Groups, Sherwin-Williams posted profit gains for its third quarter 2015. 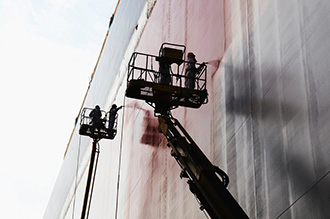 Despite a drop in the group that includes protective and marine coatings, the second-largest paint company in the U.S. showed an increase overall in its third quarter of 2015. 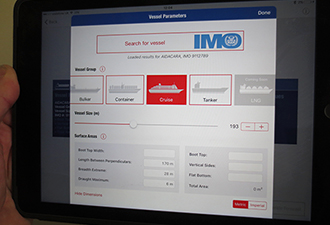 Global paints and coatings company AkzoNobel has launched what it calls the “first ever digital tool” for the shipping industry, it said in an announcement Thursday (Oct. 15). The first all-black racing yacht has just hit the water, and it’s the heat-reflecting properties of the pigments in the coatings that make it possible. 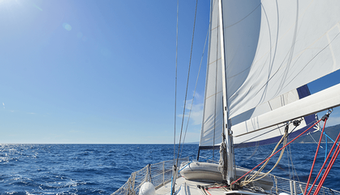 A technology company known for their work with super-repellant surfaces is turning its attention to the marine applications market. “Green” coatings are becoming an essential part of the consumer-based paints and coatings market, according to a recent report by P&S Market Research. 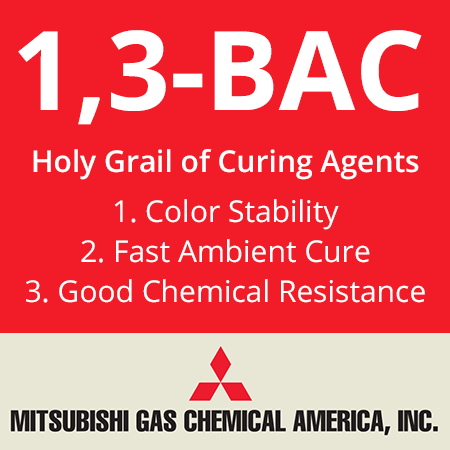 The Protective and Marine Coatings division of PPG Industries has announced the introduction of its PPG ONE Series of single-component coatings. 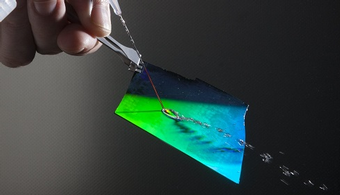 Forecasters are predicting a favorable growth period for the epoxy resins market in the coming seven years. 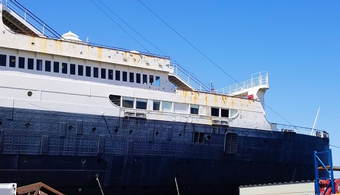 A global supplier of liquid and powder coatings has announced its participation in a major restoration job. MALAYSIA--Professionals know that a slapdash coating job will always come back to bite you. Now, pirates know it, too. 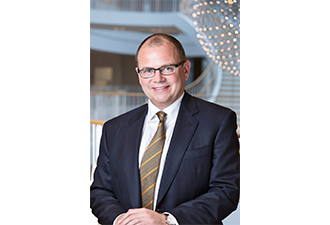 PITTSBURGH--A veteran mechanical and offshore engineer has been tapped to lead PPG's hydrocarbon passive fire protection business worldwide, the company has announced. 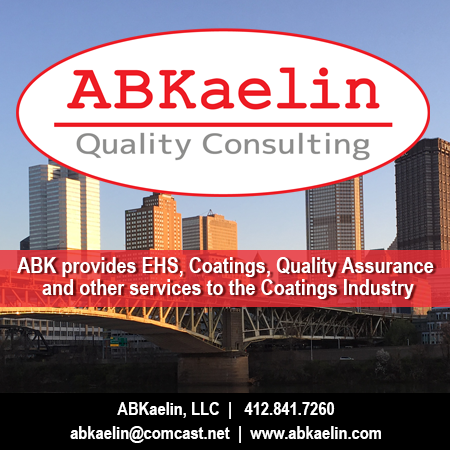 PITTSBURGH—PPG Industries will have a new hand at the coatings helm as of June 1. NUREMBERG—The world's largest coatings event has closed on a high note in Germany, drawing nearly 29,000 people from 42 countries. 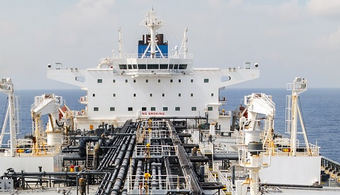 AMSTERDAM—Rising revenues and operating income across all businesses graced the first quarter of 2015, despite continuing economic headwinds, AkzoNobel reported Tuesday (April 21). Expert guidance on the continual challenge of specifying and selecting the best coating for a specific substrate will drive a free upcoming webinar from JPCL and SSPC. 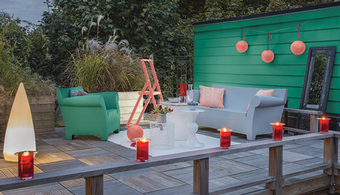 Decorative Paints struggled and profits slid, but AkzoNobel emerged from 2014 optimistic that its years-long restructuring remained on track. The paint and coatings industry continues to contract, with Miller Paint, Hempel and Lubrizol all newly acquiring other coating companies. 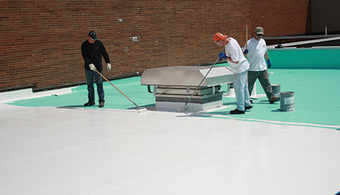 A fresh round of coatings acquisitions is in the works, including Hempel's purchase of a North American supplier for the protective and waterproofing markets. Water, water everywhere...but how to coat around it? 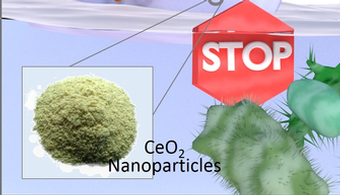 That is the focus of two new free technical eBooks published by JPCL. 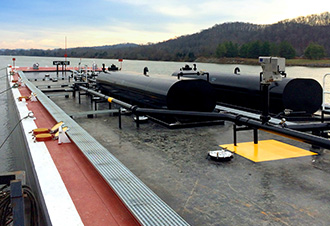 Newbuild cargo tanks and the marine maintenance market have two new epoxy options in the Hempadur line from global coatings maker Hempel. 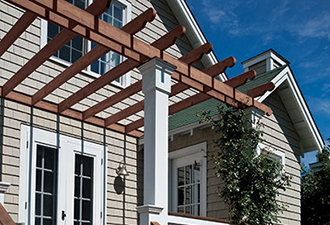 Gemini Coatings Inc. has purchased a global protective coatings company to boost its exterior wood coatings portfolio. 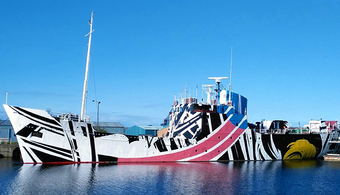 A rare veteran of the Allied invasion of Normandy is in need of a facelift, and her minders have put out a call to make that happen. Nearly 40 years after it stopped making asbestos-containing products, Carboline's parent company will close its $800 million book on the issue and reunite the company's pieces. 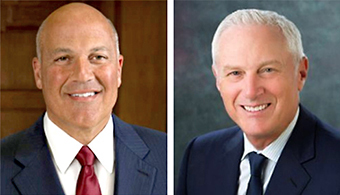 The parent company of Rust-Oleum, Carboline and other leading coating brands will again be whole—and far more profitable—under a bankruptcy reorganization plan approved this week. 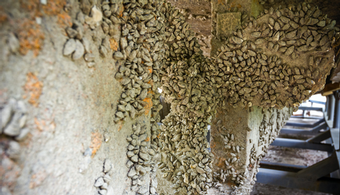 Moving deeper with one stroke into the global infrastructure market, the Valspar Corp. has acquired protective and marine coatings maker Madison Chemical Industries Inc.
After spending six years testing more than 100 coatings, federal researchers have learned a lot about what works, and what doesn't, in fighting invasive marine species. 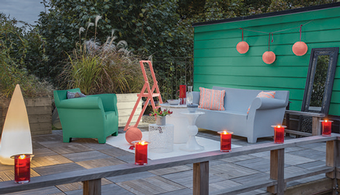 Mixed, yet ultimately flat, sales in Decorative Paints offered little help to AkzoNobel in a third quarter that showed an increase in profit built more on efficiencies than revenues. PPG Industries will wait a bit longer for Mexico's decision on the company's $2.3 billion bid to take over that country's largest paint and coatings maker. PPG Industries closed the books on its third quarter in the plus column, despite ups and downs in its global architectural coatings business. 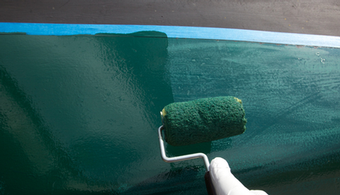 Four Florida men and two companies have pleaded guilty to selling toxic boat paint they had previously agreed to stop manufacturing. 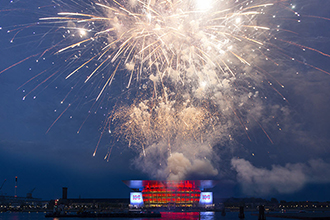 Building on its own Human Cities urban renewal campaign, AkzoNobel has now thrown its support behind 100 Resilient Cities, a new global project of The Rockefeller Foundation. A Vermont ferry service will pay $100,000 to resolve federal allegations of recordkeeping violations and improper paint use. 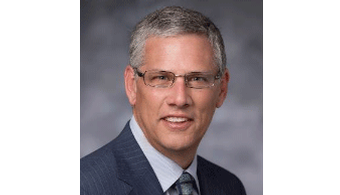 The coatings industry is mourning the sudden loss of KTA-Tator Inc. vice president Scott B. Rice, who perished Monday (Sept. 9) in a traffic accident near Pittsburgh. 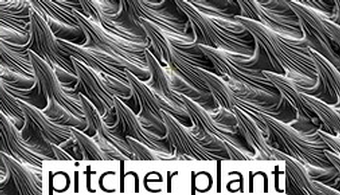 Even when the ocean looks clean, the top layer is chock full of paint dust and particles, researchers have found. 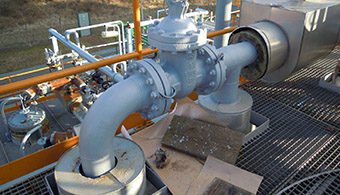 PPG Industries’ protective and marine coatings business has launched a high-temperature coating to protect substrates from corrosion under insulation. 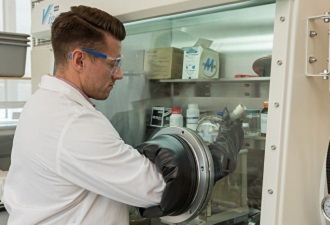 High-speed, nondestructive imaging that can detect corrosion under marine coatings has taken a million-dollar step forward, under a new U.S. Navy contract. Jotun Pakistan has been ordered to stop calling itself the “No. 1 paint in Pakistan” after complaints by competitors bearing superlatives of their own. 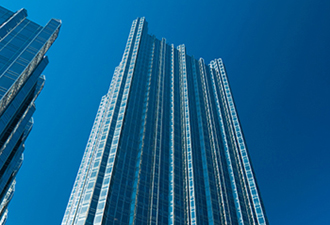 From stadiums to skyscrapers, building blitzes are heating up the global coatings market in China and Brazil. The still-dizzying pace of urbanization in China and mega-venues in Brazil will drive strong coating sales in those regions over the next few years, new reports forecast. In Pakistan, Who’s No. 1? Authorities have ordered Jotun Pakistan to stop calling itself the “No. 1 paint in Pakistan” after complaints by competitors—who make No. 1-type claims of their own. 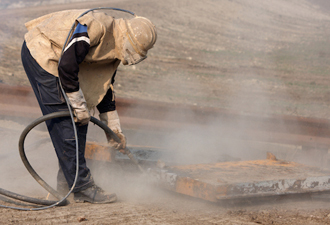 For three years, Walter Sarrat used a soaking mist of undiluted toluene to remove the workday’s protective coatings from his skin, clothing and equipment. 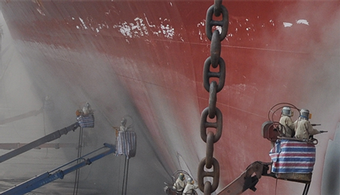 Hempel USA has introduced an anti-corrosive coating and primer with antifouling tie-coat properties for atmospheric and immersion service. 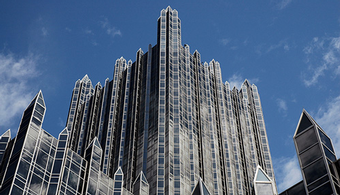 One record quarter apparently deserves another at PPG Industries, which reported double-digit sales growth in the first quarter of 2014 and a three-year high in global volume growth. 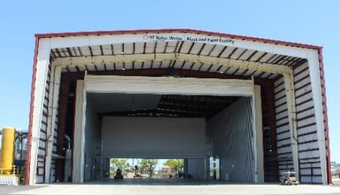 With a larger footprint in Mexico and a fresh one in Panama, PPG Industries is amping up its presence in the hot paint and coatings market south of the U.S. border. A simple new polymer made from off-the-shelf materials can knit itself back together repeatedly without an external catalyst, University of Illinois researchers report. 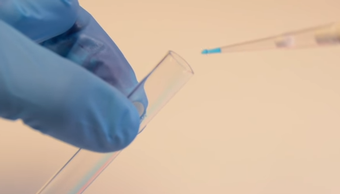 Self-healing material technology is not new, but scientists at the University of Illinois have moved the field a significant step forward. The loss of a U.S. nuclear submarine torched by a painter has yielded a new fire prevention manual by the U.S. Navy. ORLANDO—Coatings projects dazzling, daring and dangerous joined industry leaders in the winners circle Monday (Feb. 10) as SSPC 2014 opened to a record crowd in Orlando, FL. Anniversaries and birthdays are funny things, and can be seen in positive and negative lights: They speak to endurance, repetition, the inevitability of time passing, growth, and decline. 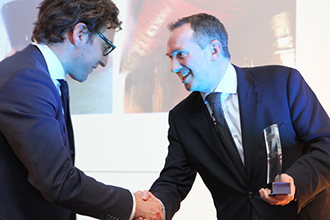 AkzoNobel CEO Ton Büchner warned that 2013 would be a tough year for the Dutch coatings giant, and he was right. 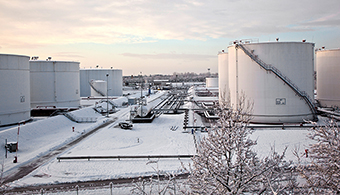 AkzoNobel’s volatile 2013 struggled to a close with declining revenues and a leaner (if not meaner) outlook on 2014. 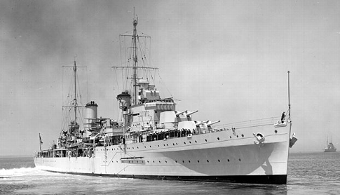 A World War II veteran is getting a stopgap coating job after 20 years while her tenders seek funds for a complete $3 million redo. 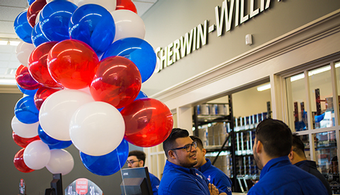 Paint stores popped and protective and marine sales held to wrap Sherwin-Williams’ 2013 fiscal year with a record $10.19 billion in consolidated net sales. 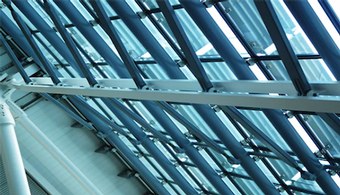 Forecasters are expecting a “staggering” and sustained across-the-board growth spurt for the global smart coatings industry. 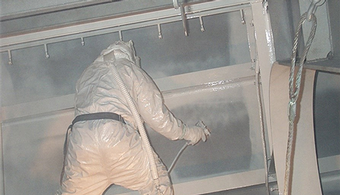 Corrpro Companies and PPG Industries have both just inked major corrosion-protection and coatings contracts with two branches of the Department of Defense. 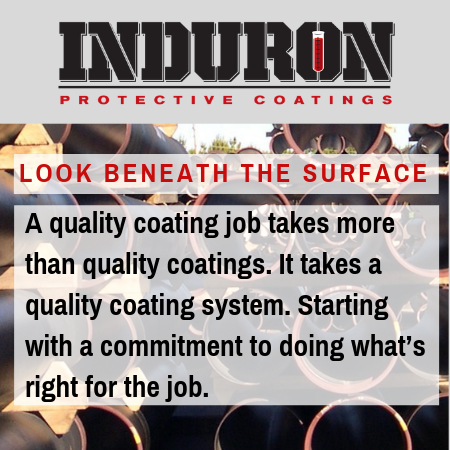 Enlisted by the military, tended by the medical field, and built up by the construction industry, smart coatings have a brilliant future. A promising new painting technique being piloted aboard the USS Dwight D. Eisenhower may change the way the Navy does industrial painting on all of its aircraft carriers. The Golden Gate Bridge Highway and Transportation District is seeking contractors to provide routine drydocking and repair of the M.S. Sonoma Ferry in San Francisco, CA. 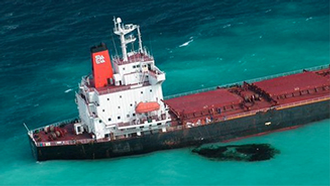 The Department of Defense is getting a little corrosion advice along with its 2014 budget plan. The message: Cover up. 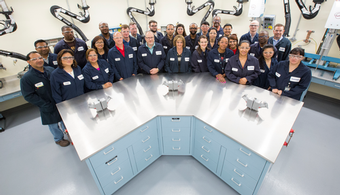 PPG Industries could see $44.5 million in U.S. Navy coatings contracts over the next five years, the Department of Defense announced. 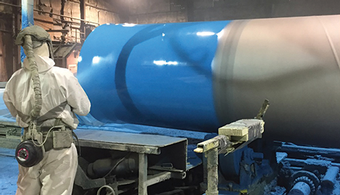 Rhino Linings Corp. has acquired Advanced Coating Solutions, a protective and marine coatings maker and longtime Rhino supplier. 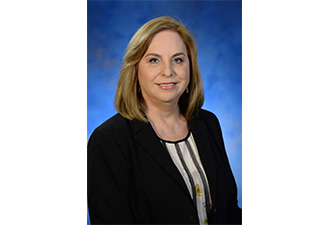 PPG Industries has put its entire protective and marine coatings business in the United States, Canada and Latin America under the leadership of Diane M. Kappas. 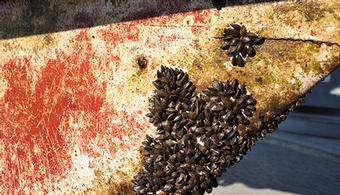 With the support of the coatings industry, California has approved a new law that will help shape the future of antifouling technology. Sherwin-Williams reported a record third quarter Friday, with a lot of help from its paint stores, a little from protective and marine, and none from Brazil's tax man. When it comes to paint and coatings, green is as green does, with the global market for eco-friendly products well rooted for growth in the years ahead, according to a new market forecast. 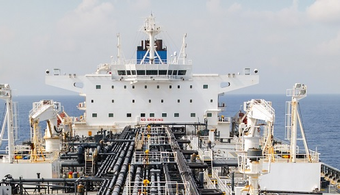 Tanking currency rates knocked the wind out of AkzoNobel in the third quarter, flattening architectural revenues and driving down revenues companywide by 5 percent. Boosted by its newly fattened architectural coatings business, PPG Industries has reported a 17 percent spike in net sales and record adjusted earnings in its third quarter. Unhappy with the paint job on his mega-yacht, a Russian billionaire is taking AkzoNobel to court, seeking $100 million in a claim of unsatisfactory work. 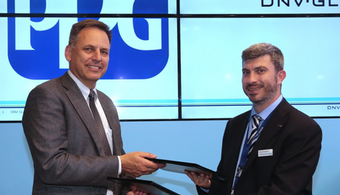 PPG Industries is taking two major steps to enlarge its European footprint, with separate announcements this week of new coating facilities in Russia and in Greece. 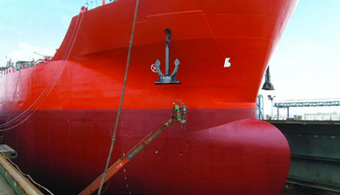 JPCL has introduced a free digital edition focusing on the European protective and marine coatings market. JPCL Europe debuted Monday, bringing an interactive new source of technical expertise to the European protective and marine coatings market. 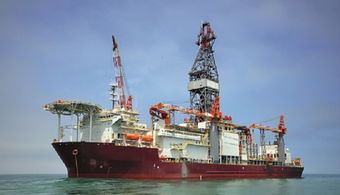 PPG Industries has launched a new application of an epoxy-based coating to protect against extremely high and low temperatures in marine and industrial environments. 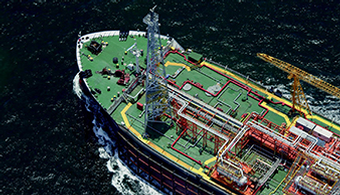 Global coatings supplier Hempel has been recognized for overcoming a struggling economy and promoting market leadership in the protective and marine coatings market. 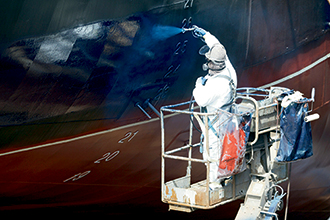 PPG Industries has launched Sigmacover 580, an epoxy anticorrosive/tiecoat designed for fast turnaround of vessel maintenance in dry dock. 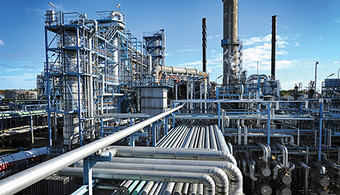 PPG Industries recently announced it started manufacturing protective and marine coatings at its facility in Ostrów Wielkopolski, Poland. 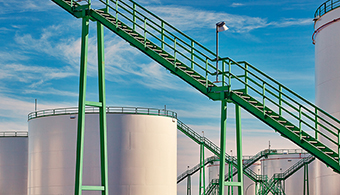 The $6 billion European industrial coatings market is getting a new player from across the pond. 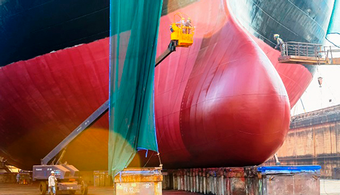 PPG Industries Inc.’s protective and marine coatings business has introduced an “entry-level” version of its premium antifouling Sigma Syladvance 800. 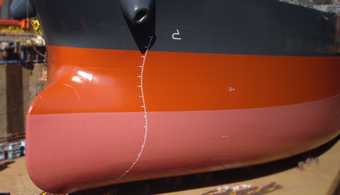 Coating damage and inadequate cathodic protection caused the corrosion that left holes in the hull of a brand-new $500 million Coast Guard cutter, an internal investigation has concluded. Graco has unveiled a series of airless sprayers designed to handle a wide range of hot potted coatings applications. 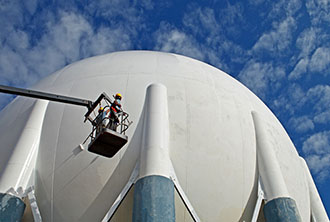 Global coatings manufacturer Jotun will phase out lead chromates in 2014 and invest more resources to produce safer, more environmentally responsible paints and coatings. 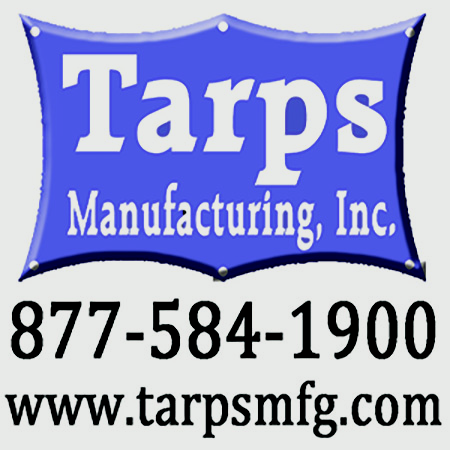 The Texas Parks and Wildlife Department has awarded a $17.5 million contract to Taylor Brothers Marine Construction Co., of Wilmington, NC, for upkeep of the Battleship USS Texas. 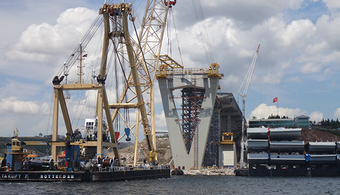 The owner of a major Italian shipyard, his son and five employees have been arrested in a blasting waste trafficking scheme that has been under investigation for two years. 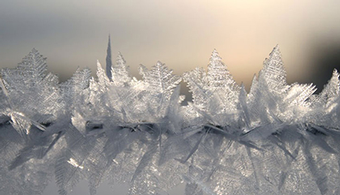 Cooling off after a record earnings year, PPG Industries’ sales remained static for the first quarter of 2013, with weak European markets taking the brunt of the blame. 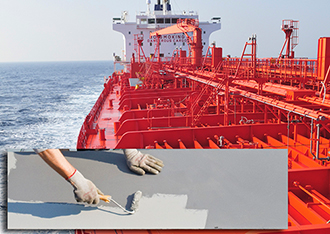 AkzoNobel reported first-quarter declines across the board Thursday (April 18) and warned candidly that the troubled company’s fortunes were unlikely to turn around any time soon. 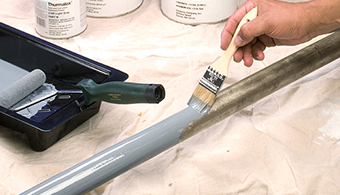 Booming architectural paint sales in its Paint Stores Group drove up Sherwin-Williams' first-quarter earnings by 16 percent, to $116.18 million, the company has announced. The world’s No. 2 paint and coatings company racked up major acquisitions in the first quarter of 2013, but weakness in Europe kept PPG Industries’ overall sales flat. A federal investigation into RPM International's roofing contracts brought Rust-Oleum's parent company a $42.4 million loss in the third quarter, RPM reported Thursday. 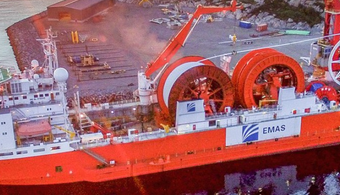 Marine coatings maker Jotun has released SeaLion Resilient, a high-performance marine coating based on epoxy-polysiloxane technology. 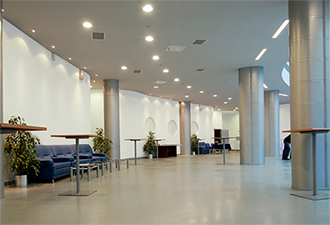 Papers and presentations on green coatings and surface prep, high-performance architectural coatings, and other topics are being invited for SSPC 2014. 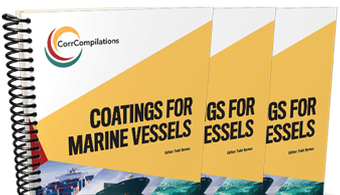 Free technical guidance on selecting coatings for marine applications is the focus of a new eBook published by JPCL: Journal of Protective Coatings & Linings. 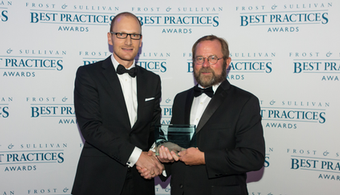 SSPC: The Society for Protective Coatings has announced a call for papers for its annual conference and exhibition dedicated to protective, marine and commercial coatings. 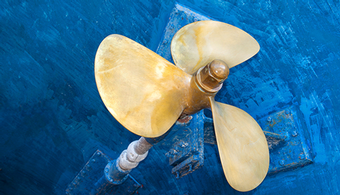 PPG Industries has introduced a new antifouling coating that is designed for control in aggressive environments and suitable for a wide range of vessels. 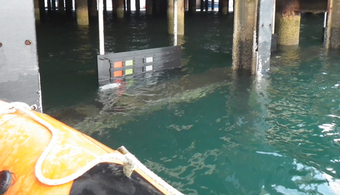 International Paint has launched three new-technology fouling-control coatings that it says offer "a sea change in hull performance" not available since the era of tributyltin coatings. 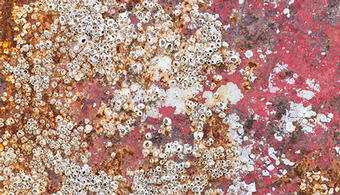 A Rhode Island shipyard will pay a $31,000 fine and act to reduce VOC emissions from paint and thinners used at the facility, under a new settlement with the Environmental Protection Agency. AkzoNobel is revamping its executive structure and pay, business operations and financial targets in the wake of a year-end 2012 report that recorded both modest hits and major misses. Rounding out a year of record financials, PPG Industries Inc. reported Monday that each quarter of 2012 saw new earnings records, with higher full-year earnings in each major region. 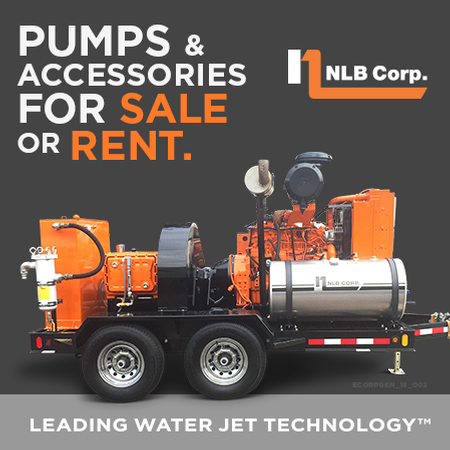 Older industrial, marine and automotive paint applications may see new life with a new wipe-on nanocoating designed to permanently restore color, gloss, and surface hardness.